Getting married in winter is becoming more popular as couples recognise the benefits of this magical season to celebrate their special day. The beauty of snow, open fires and the festivity of the approaching Christmas and New Year make it even more exciting and joyful, a season when family and friends unite. If you decide to get married in winter, first step is to choose the right destination. In this post we showcase you one of our favourite Italian gems for a Winter Weddings – Aosta Valley. This small but very beautiful Italian destination is located in the heart of the Alps between Italy, Switzerland and France. 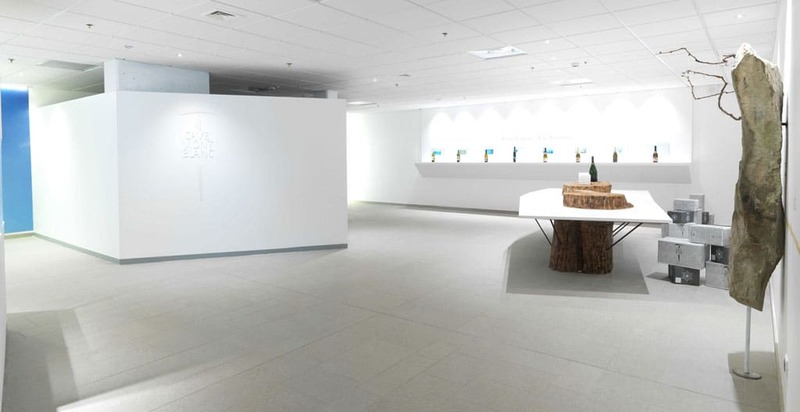 Pure nature is dominating and offering a variety of environments, panoramas and landscape. History can be seen in the many castles, towers, fortresses and rocky strongholds. They are an integral part of the beautiful landscape, and some of them can be even used as event locations. Aosta Valley is easily accessible by car from Italy, France and Switzerland. You can also fly into Turin, Milan or Geneva. Lastly, there are many train and bus connections. Aosta Valley consists of nine destinations but we would focus on Courmayeur. 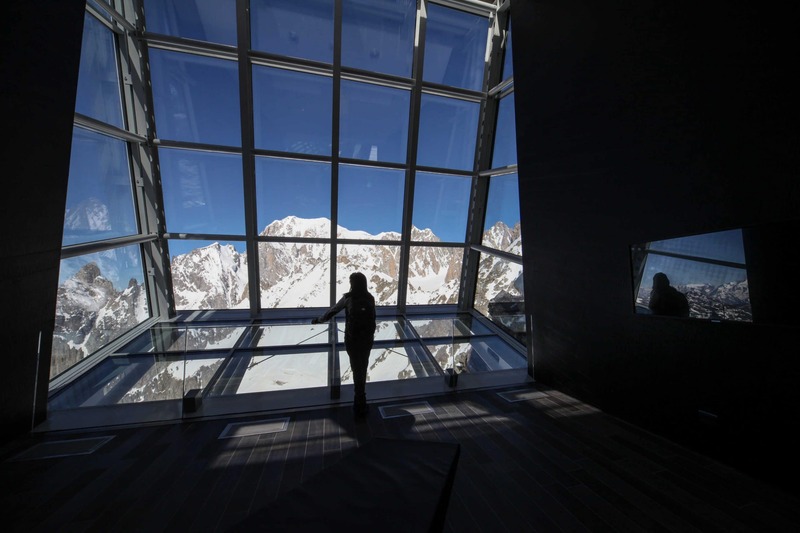 Courmayeur is the most attractive for a Winter Wedding, due to large room and venue capacity and the Skyway Mont Blanc – to make your wedding truly memorable. The variety of unique venues overlooking the snowy peaks and surrounded by pure nature will turn your wedding into a Winter Wonderland. The village offers high quality facilities with three, four and five star hotels and Michelin restaurants. 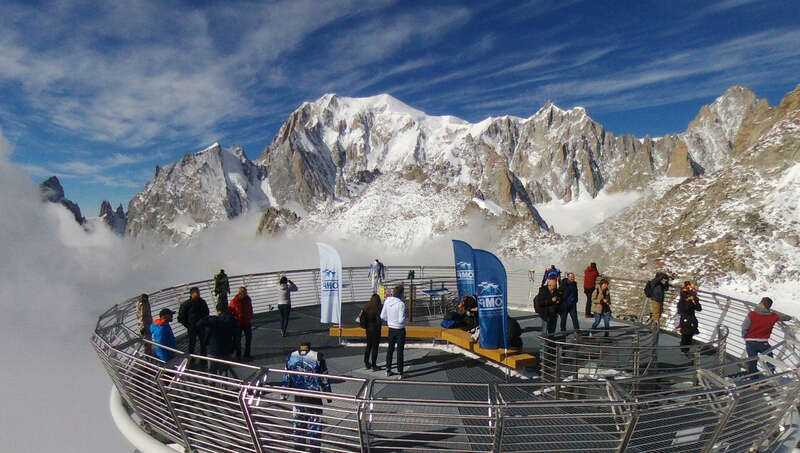 The main visitor attraction and a wedding venue Cableway, Skyway Mont Blanc, leads to the 3,462 m of Punta Helbronner and its splendid 360 degrees panoramic terrace. The scenery will take your guests breath away during the entire wedding ceremony! In addition, you can choose to have your ceremony indoors in Punta Helbronner or outdoor on the panoramic terrace just few stairs steps from Punta Helbronner. 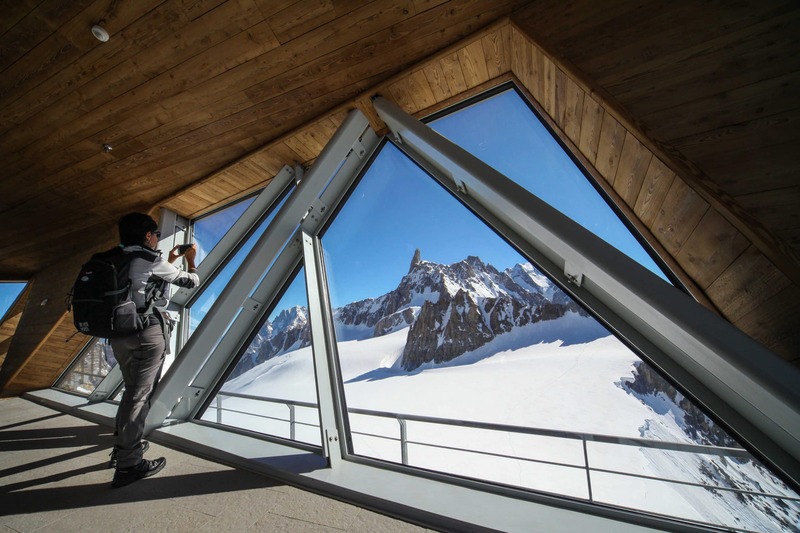 You will be surrounded by the beautiful Matterhorn, Monte Rosa, the Gran Paradiso, and Gran Combin mountains. Thanks to a common agreement with Courmayeur Town Hall the ceremony celebrated at that hight will be effective by law. Courmayeur has a big venue and hotel capacity for your wedding celebration and accommodation for your guests. Across 21 venues, the largest venue capacity is up to 4500 for seated events. Room capacity includes 47 three star hotels with total of 1436 rooms, 18 four star hotels with of 1133 rooms and 4 five star hotels, with total of 253 rooms. In addition, there are private apartment and B & B accommodation. So, with over 2800 rooms, it makes the destination very attractive and gives budget flexibility. Winter is a wonderful season to experience Italy and celebrate your special occasion. At Italian Special Occasions DMC we employ the seasonality concept and advise our clients on the best season/ region combination. Weddings don’t need to take place only in the late spring and summer – most popular seasons in Italy for Weddings. Winter and Autumn are as attractive and offer many opportunities, and the Aosta Valley is one of them! Italian Special Occasions DMC can also assist you with planning group activities for your friends and family. We can help you keep your guests entertained by organising authentic and tailor made activities prior or post wedding ceremony. 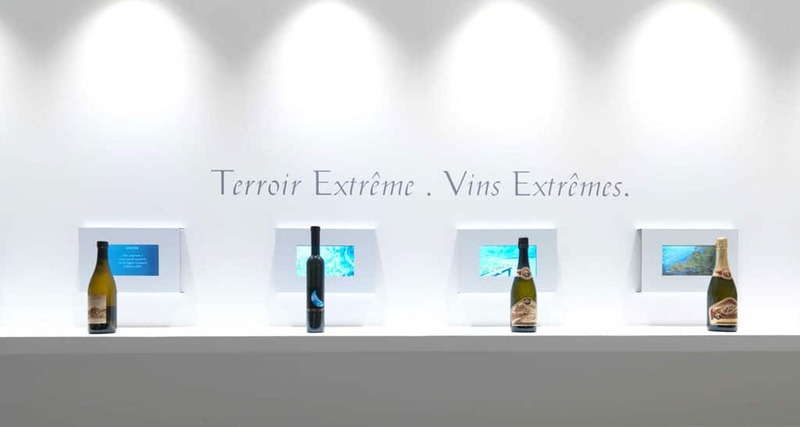 Courmayeur region is a rich wine region and we can plan an authentic gastronomic experience for your guests to share. Furthermore, we can incorporate a local element into this experience and offer a local and traditional cuisine. If you would like to incorporate the cultural element, we can organise a guided tour. 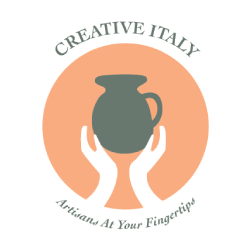 This will include visiting regional castles, and conclude with an authentic Italian dinner at a unique venue. Furthermore, if your guest would simply like to prolong their stay and enjoy ski or wellness, we can consult on the best activities. This post is just a tip of the iceberg to tell you about all the wonderful Winter Wedding options in Aosta Vally. Therefore, If you would like to know more about the destination, get in touch with us for an impartial advice. Being familiar with the local language and culture, and having strong relationships with local suppliers, we will be able to support you and be your partner on the ground leading to your big day. You can also contact us if you decide to come for a site visit and we will be happy to show you the most suitable venues for your Winter Wedding. 10 Tips for Planning a Wedding in Italy!